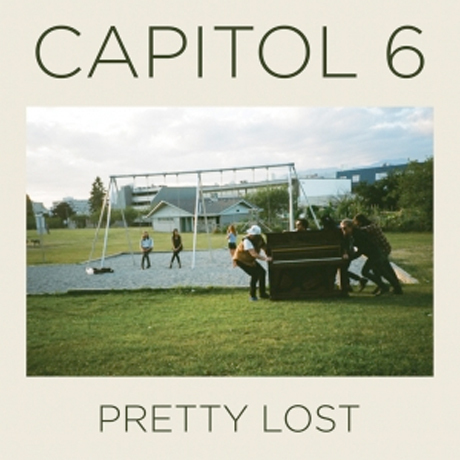 Sun Wizard singer Malcolm Jack's side-project Capitol 6 pushed through the gates last year with both the Captain Rehab EP and the "Fever" seven-inch, but his Vancouver-area troupe ups the psych-pop stakes this June when they deliver their full-length debut, Pretty Lost. Light Organ Records has revealed that it will drop the eight-song outing June 12 on traditional CD and LP formats, but will also offer it up as a limited silk-screened poster with a download code. Recorded earlier this year with Felix Fung (Chains of Love, Mode Moderne) and mixed by Colin Stewart (Black Mountain, Cave Singers), the album is said to offer paisley-print jangle pop in the vein of the Growlers, Fresh & Onlys and Crystal Stilts. You can check out the video for mellowed-out album closer "Just a Puzzle," filmed at Fung's Little Red Sounds studio in East Vancouver, down below. Capitol 6, who also feature members of local acts Bummer High and Chains of Love, will be heading out on a Canadian tour later this summer, with schedule specifics arriving sometime soon. Capitol 6 "No One Came"